Lower back pain is a common painful condition affecting lower part of spine mostly the lumbar area. This pain can vary from dull pain that develops gradually over time to sudden sharp shooting pain felt below waist. Muscle strain is the most common cause of low back pain due to heavy physical activity, lifting or jerky movements, bending/twisting into awkward position, maintaining a bad posture for too long. Herniated/bulging disc: This occurs when soft interior part of the vertebral bone escapes through a crack or ruptures through the disc’s protective fibrous outer layer. This can cause nerve compression, inflammation and pain. Spinal canal stenosis: The spinal canal is the space from where the spinal cord and nerves pass through the body. When there is narrowing of this pathway there is compression of spinal cord and its nerves leading to different symptoms. Spondylosis: This is the degeneration occurring in the bones of the spine due to wear and tear. It affects the facetal joints and contributes to the development of bony spurs that further leads to compression of nerves. Spondylolisthesis: This happens when one vertebral body slips forwards or backwards over the vertebrae below it which is called anterolisthesis or retrolisthesis respectively. Lumbarisation and sacralisation: This is fusion of two vertebral due to decrease in their spaces which occurs because of chronic degenerative changes or congenital. When two lumbar vertebrae are fused together it is called lumbarisation. Most probably occurs at lower lumbar region at L 4- L5 level. When fusion of last lumbar vertebrae and sacrum occurs it is called sacralisation. The fusion happens such that it appears as one segment as a whole in radiograph. Vertebral fractures: these occur most probably due to some trauma to the spine mostly falls, eg car accidents. Compression fractures are mostly seen in vertical compression injuries. A flexion injury may occur after falling from height on the buttocks. Osteomyelitis: This occurs due to bacterial infection. It can develop in one of the spinal vertebrae at any level. Degenerative disc disease: Degenerative changes in the inter-vertebral disc are associated with wear and tear, aging and misuse. Over the time the protein structures of annulus fibrosis weakens. The water and proteoglycan content decreases . These lead to inability in the disc to handle mechanical stress. As the lumbar area carries body weight stress with the motion leads to disc problems that is herniation. Cauda equine syndrome: The cauda equina begins at the end of spinal cord. When this is compressed the patient may present with low back pain, lower limb weakness , radiculopathy and incontinence . In acute phase of pain immediately after injury application of ice is the best treatment along with complete bed rest. Ice helps in reducing spasms , swelling and pain. In chronic cases heat application can be helpful as it increases the blood circulation which in turn helps to remove the pain causing substance faster from circulation and to relieve pain. Spinal traction helps to keep the two adjoining vertebrae away to distress the disc for sometime thus relieving symptoms of nerve compression. Electrotherapy modalities such as IFT, TENS, ULTRASOUND helps in relieving pain by altering the pain signals towards the brain to relieve symptoms. Manipulation by the physiotherapist is useful in improving the spinal mobility. Every types of back pain responds to manipulation. Exercise therapy: Pain limits the flexibility and mobility of the spine as a protective mechanism for which stretching exercises for the trunk are to be educated to the patient. Flexion based exercises help in widening the intervertebral foramen through which the nerve roots exit the spinal cord which helps in relieving symptoms. Extension based exercises like mulligans focuses on muscles and ligaments. These exercises helps in maintaining the the lumbar lordosis which improves the spinal posture. Degenerative scoliosis: Scoliosis is the lateral curve in the spine due to some anomaly. Can be divided into congenital and acquired. This could occur due to slip disc also. Also can occur in cases of wedging of vertebrae from one side or in cases of hemi vertebrae etc..
Stretching of muscles with help of brace can reduce the curve to a greater extent along with strengthening of weakened muscles. 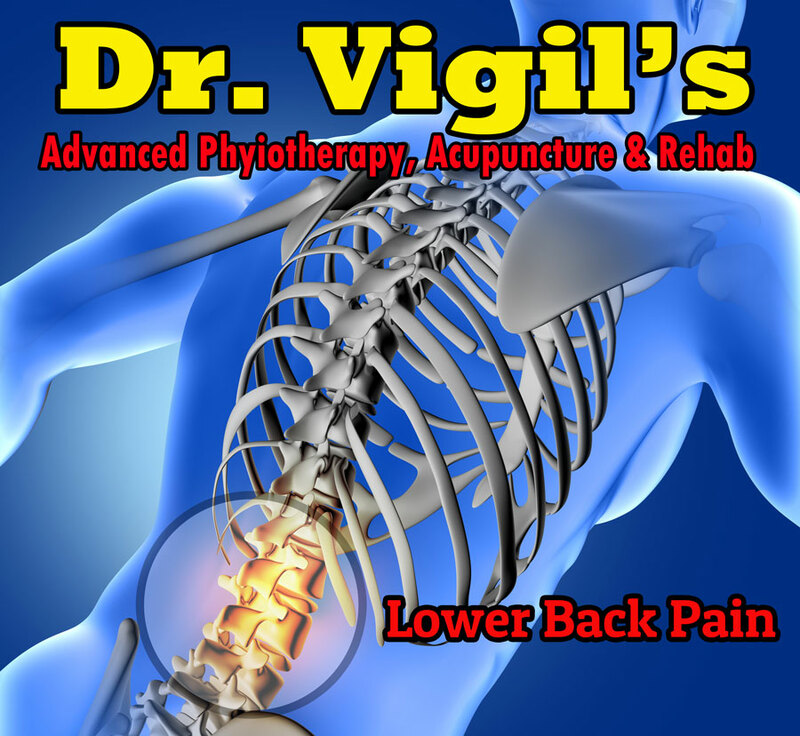 Dr. Vigil’s advanced physiotherapy gives on specialised and unique treatment for back pain and scoliosis.